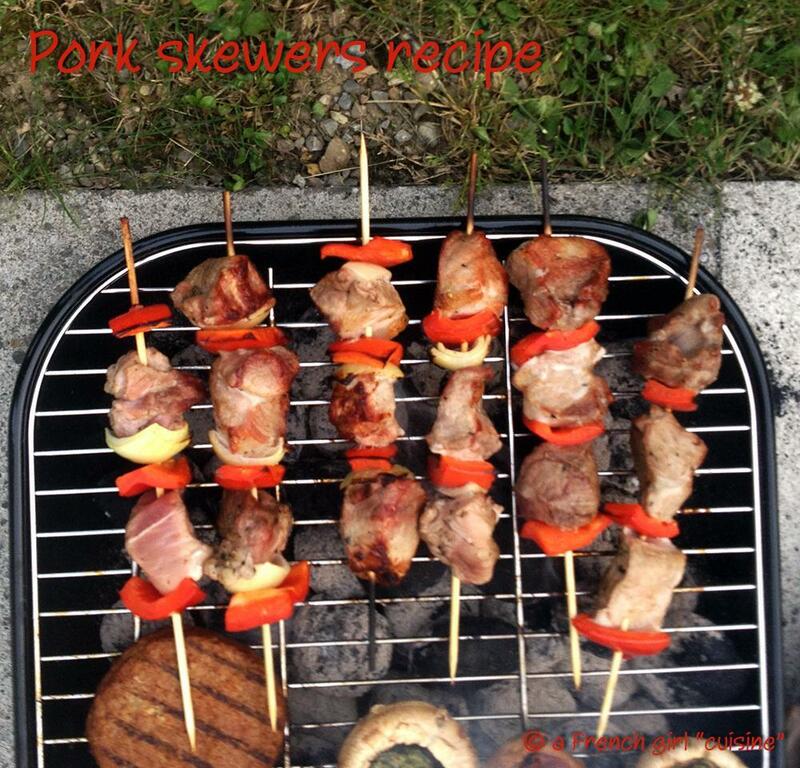 I wanted to makes the same skewers than the ones my mother uses to prepare for our family barbecue! Slice the meat. Marinate the meat with white wine, bear leek oil and pepper. Slice the red pepper and the onion. Thread the pork, the red pepper and the onion onto the skewers.